We waited for that trip for a while now! My family and I are back in the Philippines!!!! Woop Woop! 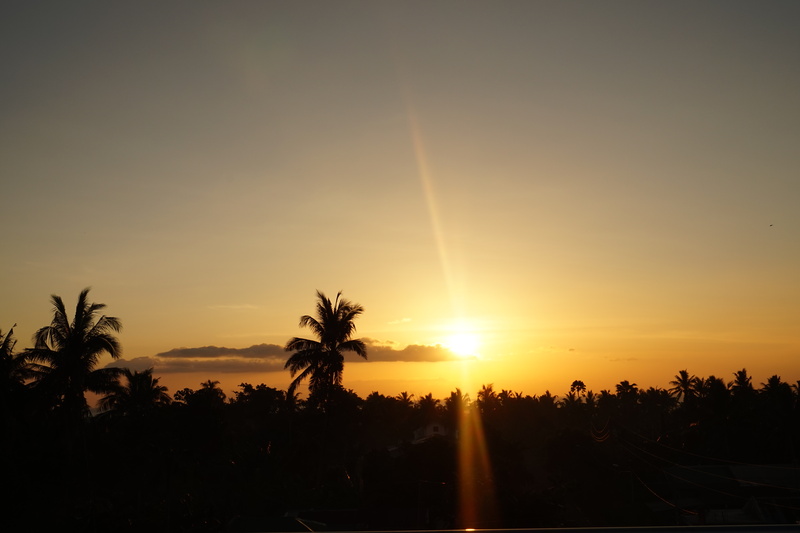 3 weeks of holiday, to visit and spend a bit time with family from Pangasinan (my mom’s side) and Bicol (from my dad’s side); to explore my beautiful motherland and of course to have fun with friends. Super excited about that trip! Can you imagine 4 years have passed since I moved from the Phils. Time flies so so fast! 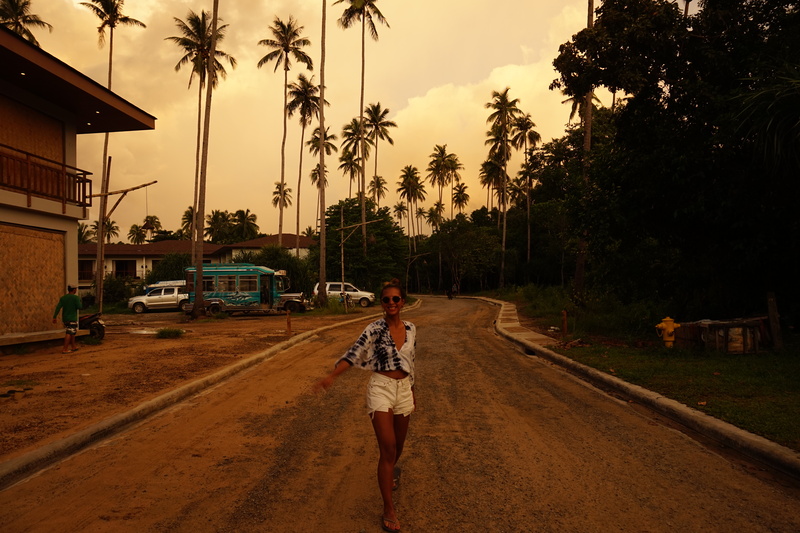 Why did I wait 4 years to come back in the Phils, seriously awww stupid thing! haha Ok well between those years I’ve been moving to Malaysia, the UK, then back to France, then moved again to Tunisia, etc, etc… Yeah ok I was busy away! But hey I’m back! Bicol (Monday 31/07 – Thursday 03/08) with my Mom, we will visit my Aunt and her new built-house. Tagaytay (Friday 04/08) one day with my brother from another mother, Jerome. 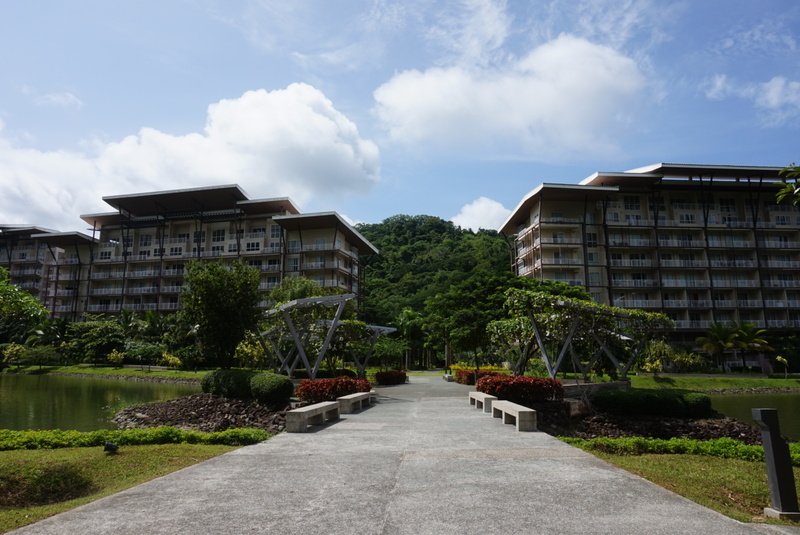 Pico de Loro, Batangas (Saturday 05/08 – Sunday 06/08), week-end getaway with friends Jerome and Garet. 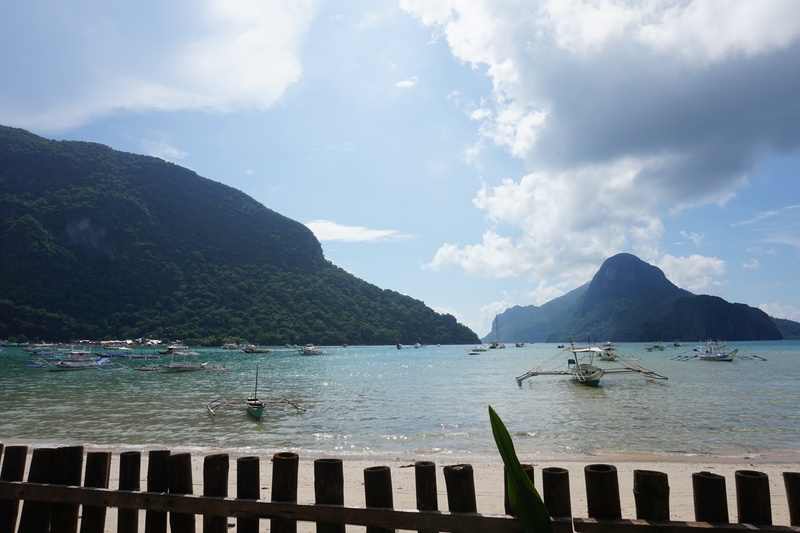 El Nido, Palawan (Monday 07/08 – Friday 11/08), exploring the islands with my good friend Shams. 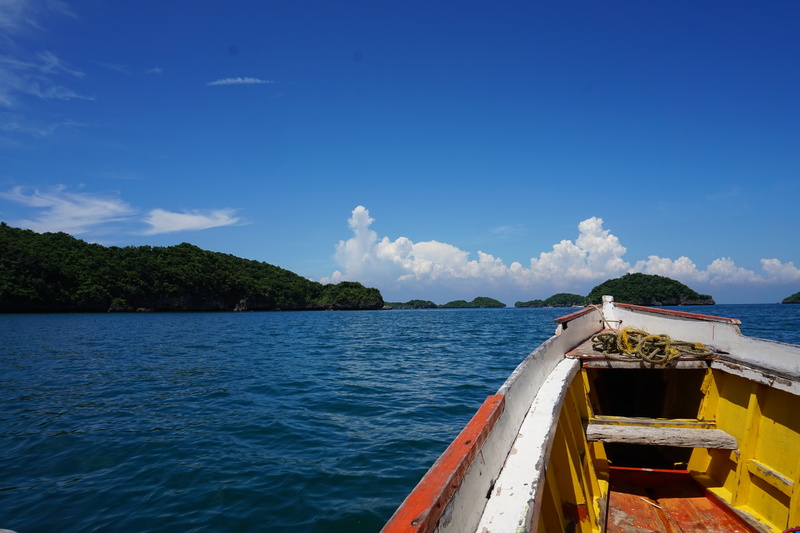 Pangasinan (Friday 11/08 – Wednesday 16/08), joining my Mom and family for a wedding, birthday and trip to Hundred Islands. 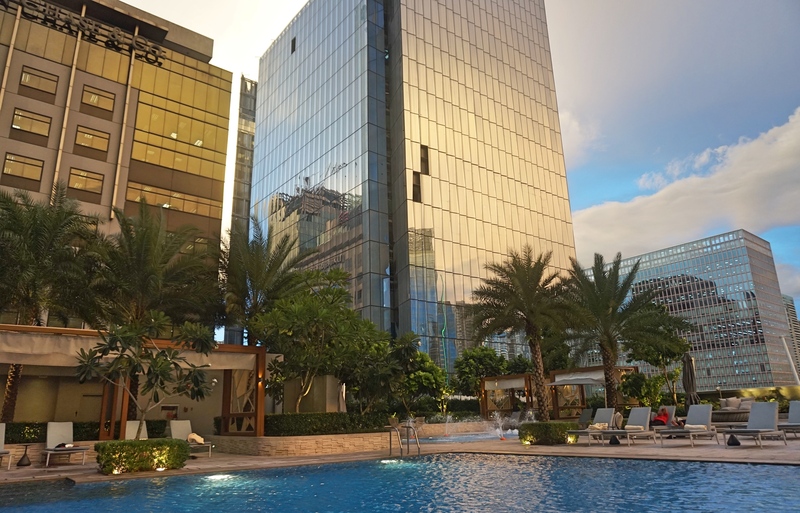 Manila (Wednesday 16/08 – Saturday 19/08), shopping and relax! So many things have changed. 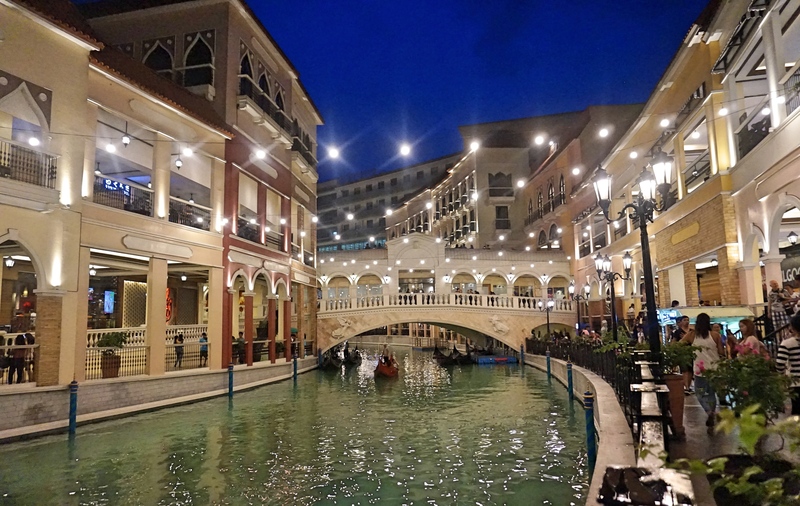 You will find a bit of Venise, Las Vegas, Macau in some areas of Manila. Massive new buildings appeared while others are still under construction. 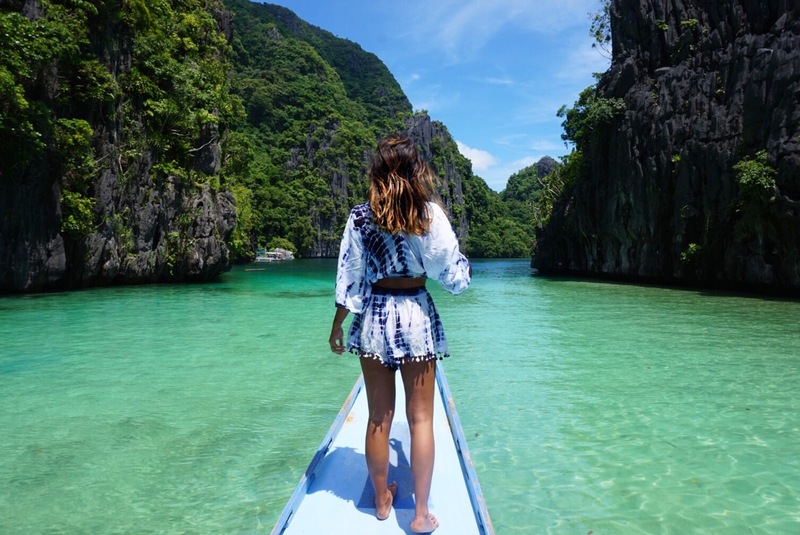 There are more and more tourists coming in the city and the Philippines became progressively a very trendy destination to visit. But one thing it hasn’t changed: the TRAFFIC! Omg Manila traffic is the worst! I can tell you, it drives you crazy! Believe me you don’t want to experience this, trust me! 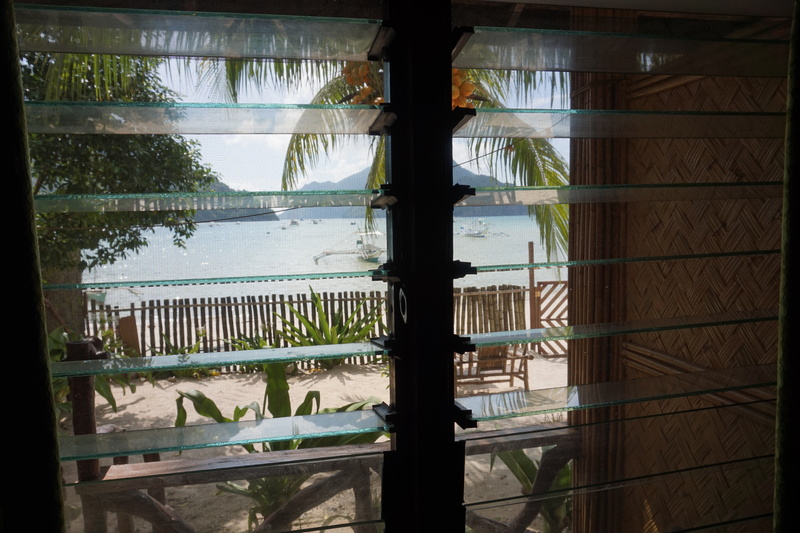 Seriously Pinoy peepz are too brave to face this everyday! So back to the article, here you will find pictures from my 3 weeks adventure in the country and places you have to visit. 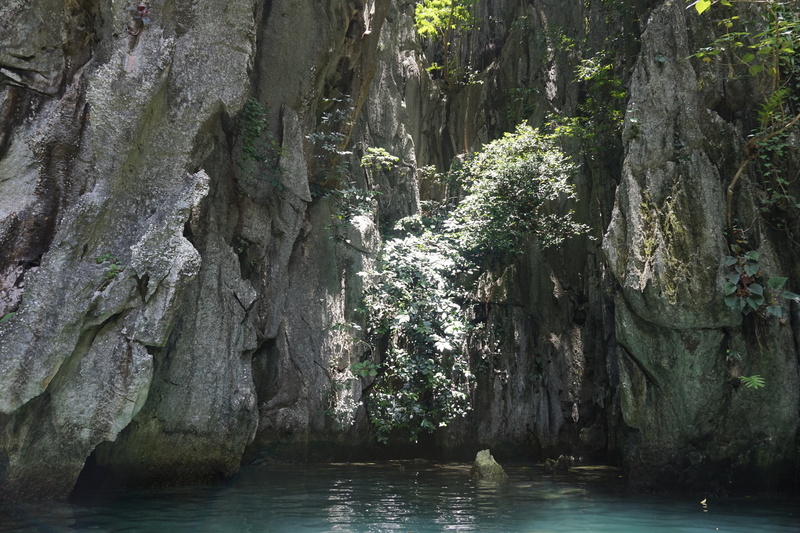 The Philippines are wonderful and unique landscapes! 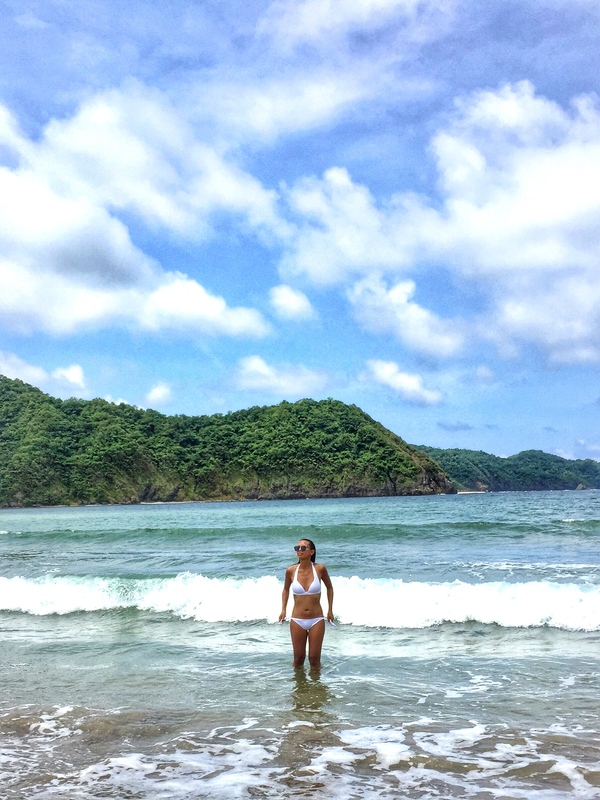 Views are breathtaking and experiencing every islands of the country is magical. Our world offering us a real beauty full of surprises that we have to enjoy! Nous avons attendu ce voyage depuis un petit moment ! 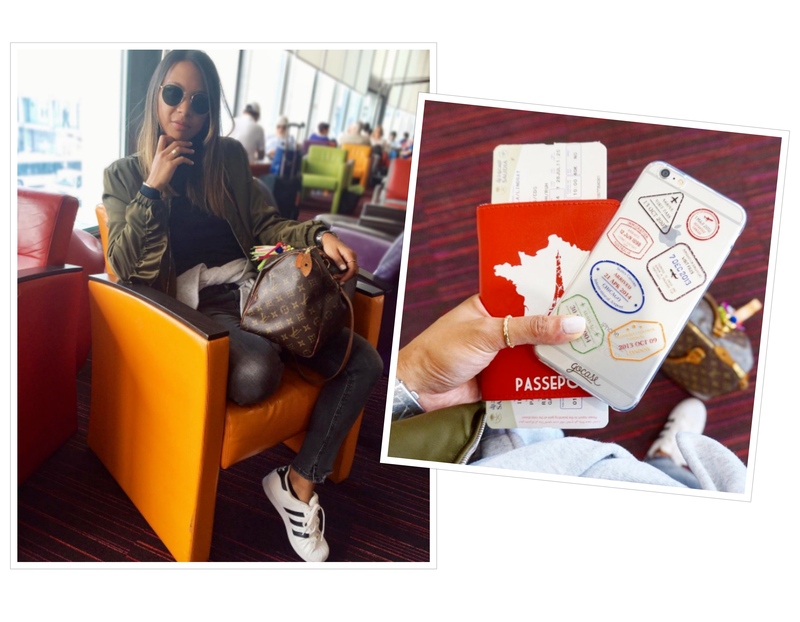 Ma famille et moi sommes de retours aux Philippines ! Yessssss ! 3 semaines de vacances, à profiter du bon temps avec la famille à Pangasinan (du côté de ma mère) et Bicol (du côté de mon père) ; explorer les merveilles du pays et bien entendu profiter des amis. Je suis super excitée de ce voyage ! Imaginez, cela fait 4 ans qui sont passés depuis que j’ai déménagé des Philippines. Le temps passe tellement vite ! Pourquoi ai-je attendu 4 ans pour revenir au bled, sérieux ! Stupide ! LOL Bon il est vrai que pendant ces années j’ai pas mal été occupé à bouger en Malaisie, le Royaume-Uni, puis un retour en France et rebelotte un emménagement en Tunisie… Bon ok j’étais ailleurs mais me voilà de retour ! Manila (du jeudi 17/08 au samedi 19/08) shopping et relax ! Des plans de folie ! Mais je vous avoue que 3 semaines ce n’était vraiment pas assez. Très très court ! Enfaite cela arrive quand tu profites de tes vacances à fond, n’est-ce pas ?! J’adore Manille et quand je suis revenue, j’ai réalisé que ce pays me manquer énormément ! Sérieux pourquoi j’ai quitté le bled ?! Tellement de choses ont changé. 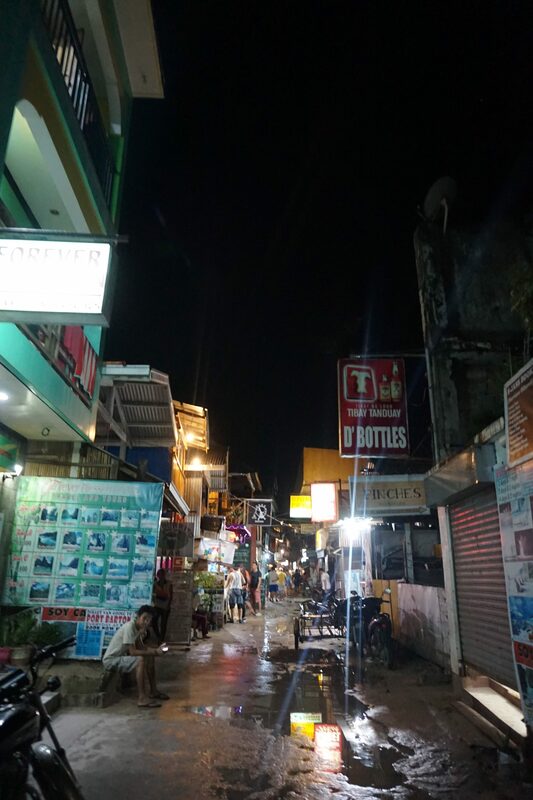 Vous retrouvez un peu de Venise, de Las Vegas ou encore de Macau dans quelques quartiers de Manille. Pleins de buildings ont poussé tandis que d’autres sont encore en construction. 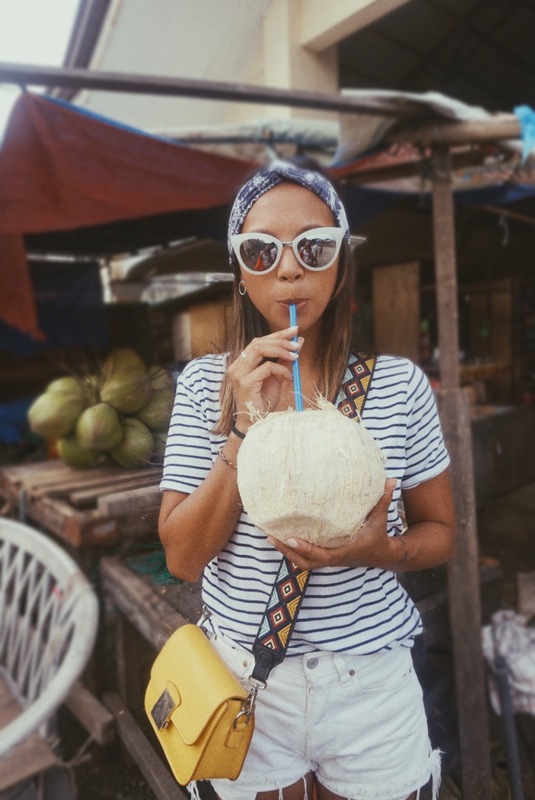 Il y a de plus en plus de touristes qui viennent en ville et les Philippines deviennent progressivement une destination phare à visiter. Mais une chose qui n’a pas du tout changé, c’est les bouchons. Olala le traffic à Manille est le pire ! Je peux vous dire que cela rends dingue ! Croyez-moi vous ne voulez pas vivre cette expérience. Les Filipinos ont bien du courage d’affronter cela tous les jours. Bon retour à l’article, ici je vous présente en photos les 3 semaines de vacances, les endroits que j’ai parcouru et les spots à visiter. 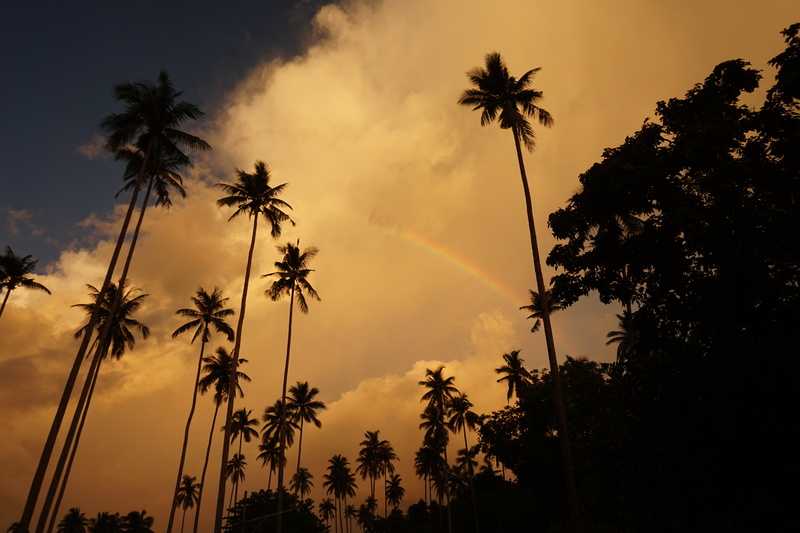 Les Philippines sont des paysages merveilleux et uniques ! Les vues sont à en couper le souffle et vivre l’expérience de chaque îles est absolument magique. Notre monde nous offre une vraie beauté remplis de surprises que nous devons profiter ! 1 & 2. 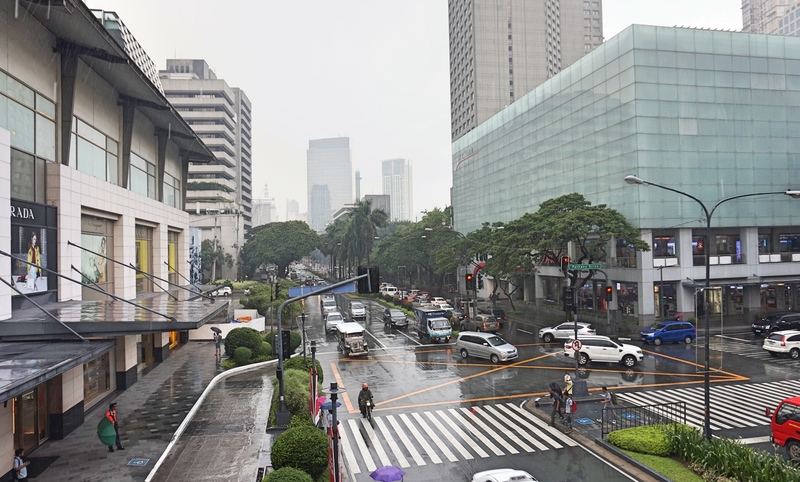 Shops and restaurants in High street Fort Bonifacio in Taguig. 3. 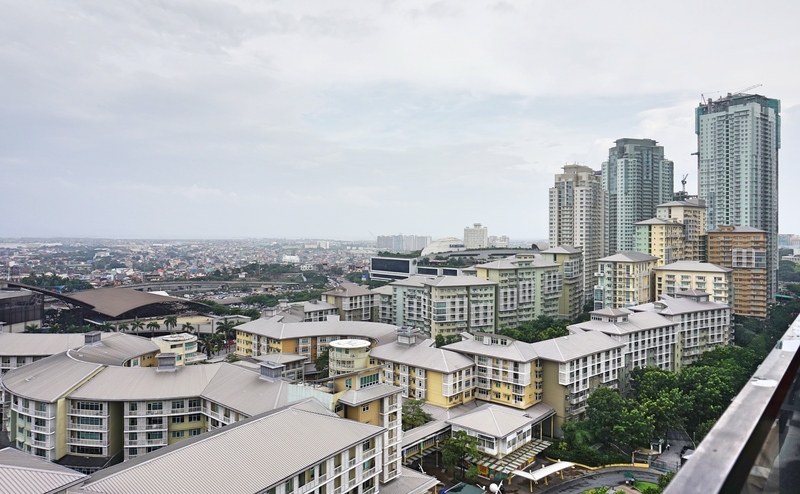 View of Serendra and Market Market from Seda hotel rooftop where you can eat and drink after work or weekend. 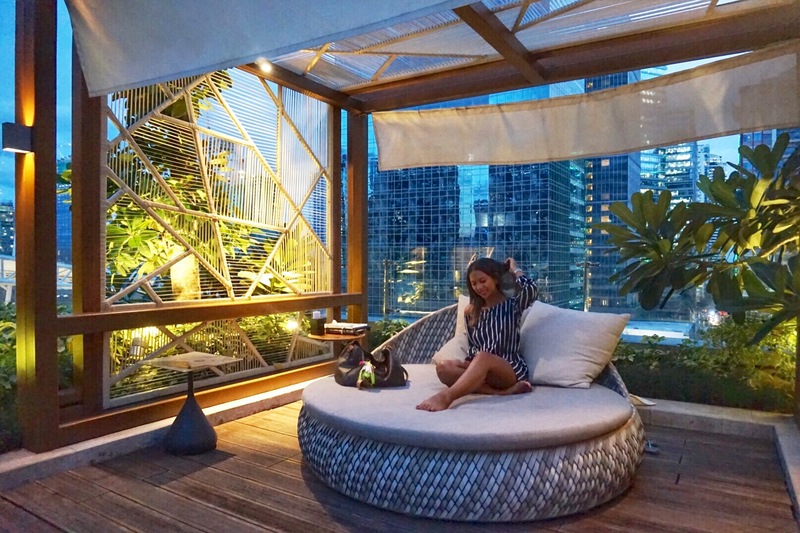 It gives you a great and relaxing time with upbeat music, drinks and delicious “pica-pica” while you’re enjoying the spectacular view over BGC. 5 & 6. Pool and Samba restaurant at Shangri-la hotel, Taguig. 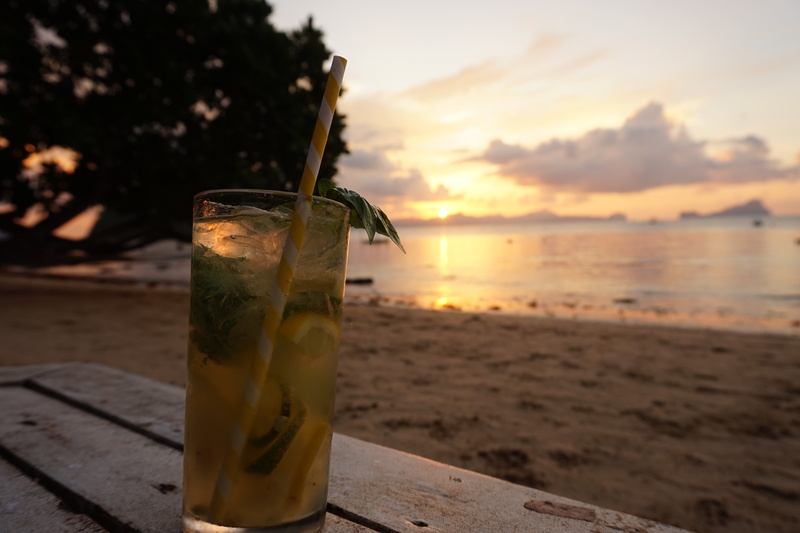 The bar by the pool is perfect for your afternoon chill or for cocktails sunset. 7 & 8. 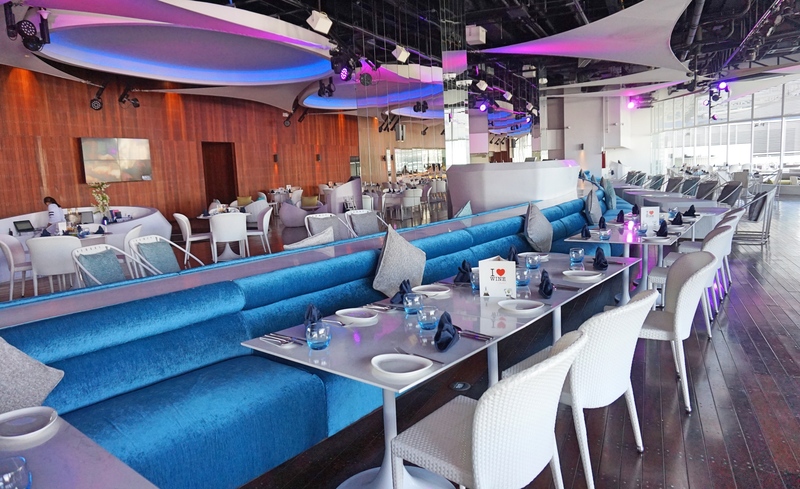 Ibiza beach club, a restaurant, club and entertainment center in Taguig, Manila. The place is new, recently opened last April, good for dinner and drinks. The night you can enjoy different performances like daring exhibitions, broadway inspired shows and movie musical sequences. 10. Little Venice – a must visit! You will have the impression that you’re really in Venice. 11. 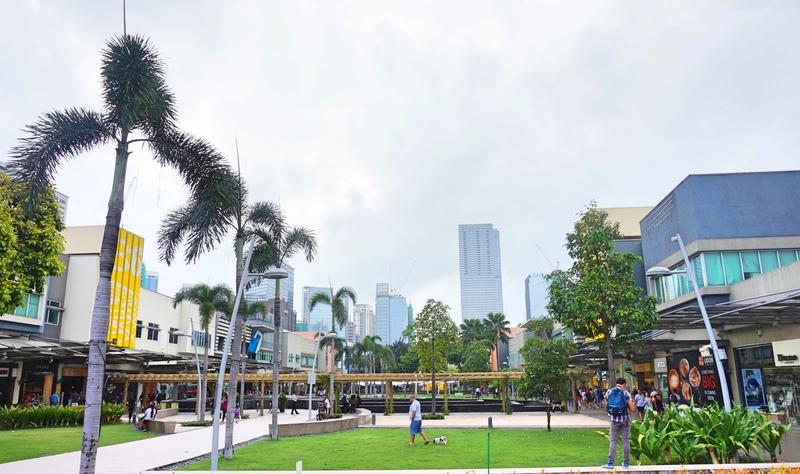 View of Greenbelt and malls – Greenbelt became my favorite place where to shop and chill, cause you will find everything you need there. 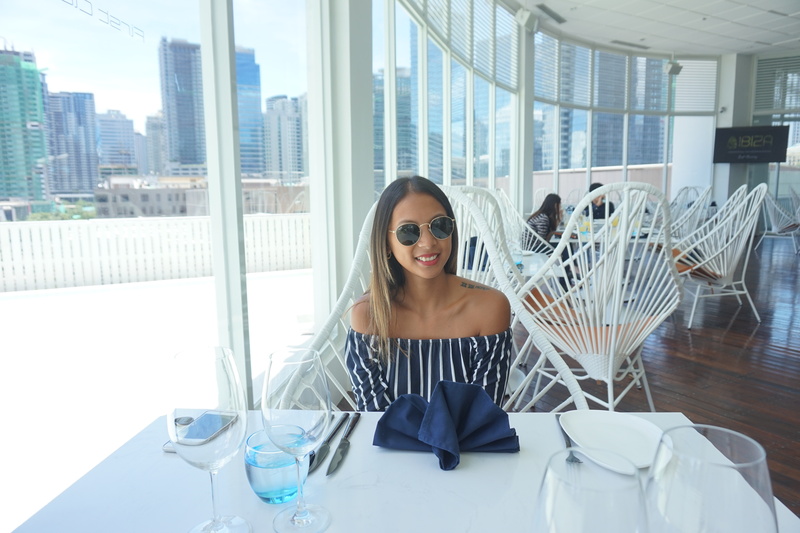 From Luxury brands to local brands. 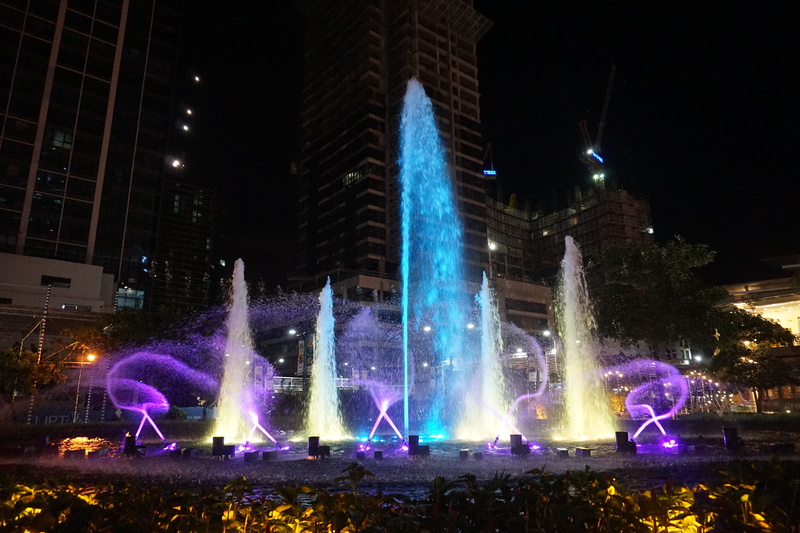 Plus Greenbelt is connected to Landmark, Glorietta and SM where there are more shops and restaurants. 12. View of Makati city from the rooftop of Our Awesome hostel in Kalayaan Ave – The hostel is running by my good friend and brother Jerome. 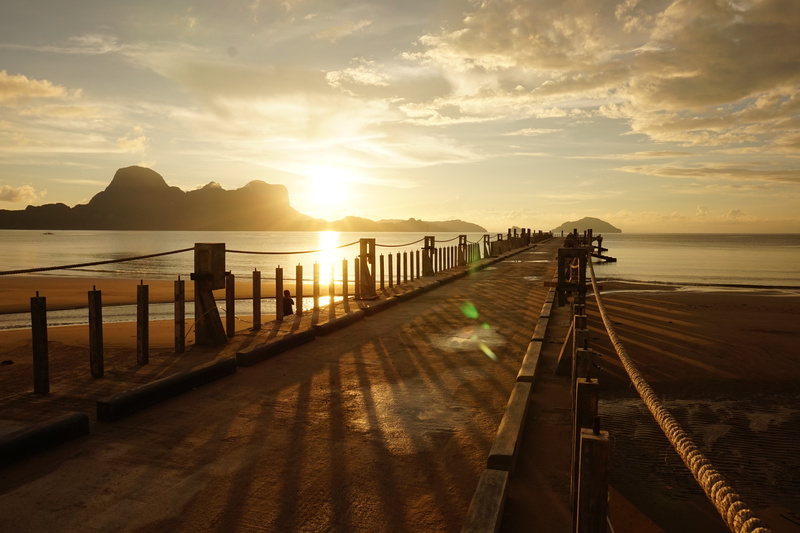 If you are a backpacker, it’s perfect for you. You will like this place as it’s confortable and super affordable for a stay in the city. 13. 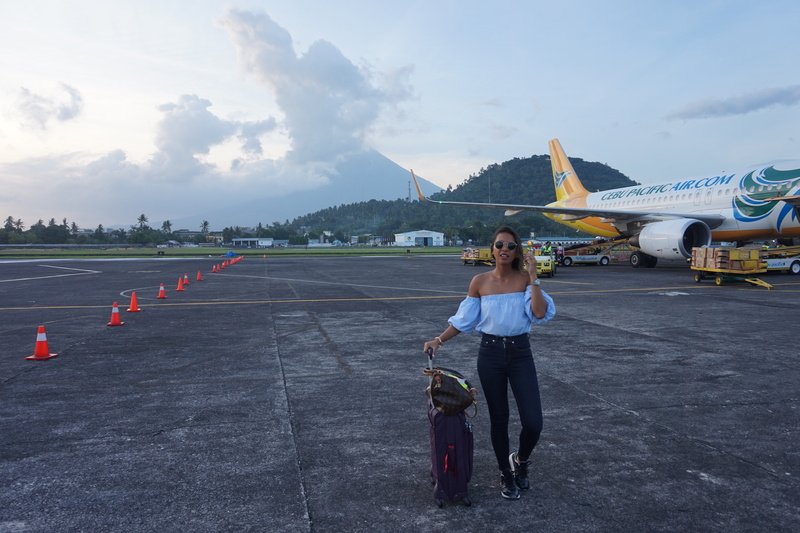 Legazpi airport with the Mayon Volcano at the background – Manila to Legazpi is less than 1 hour flight (approx. 50 mins). 14. 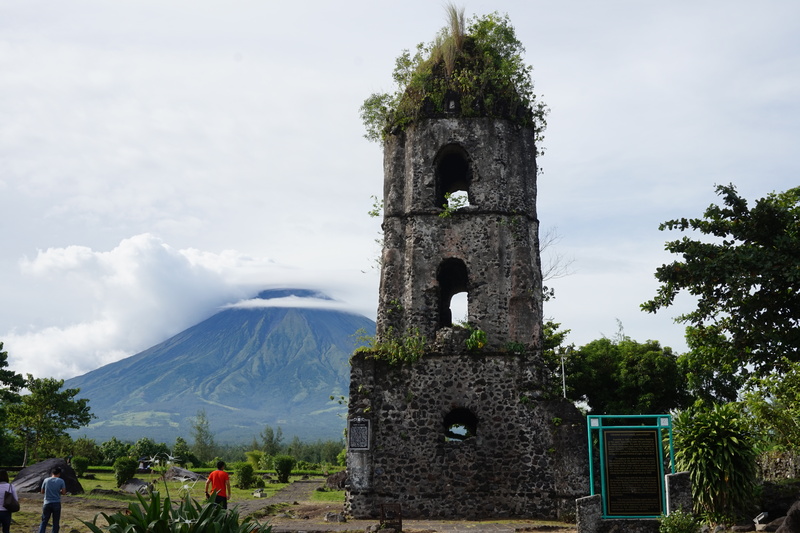 At Cagsawa church ruins with a magnificent view of the Mayon volcano. The church has been destroyed once by the Dutch pirates in 1636 then rebuild by Fr. 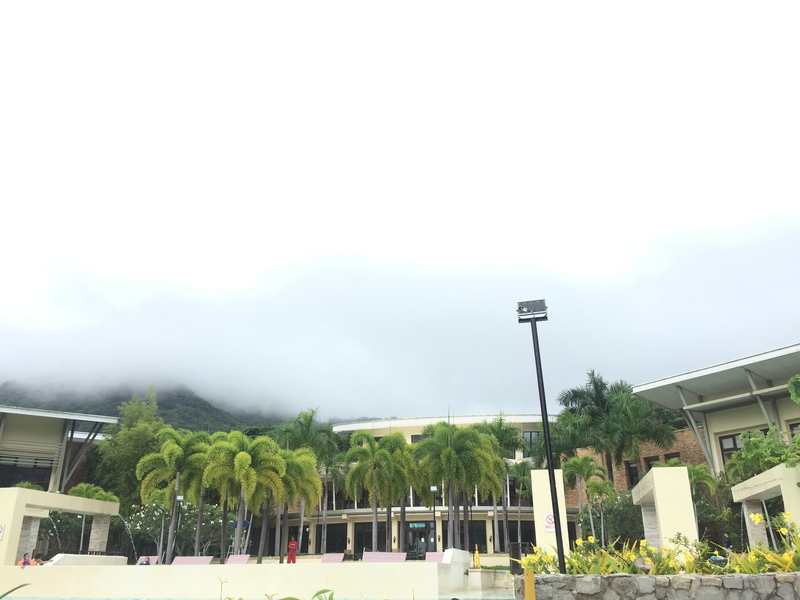 Francisco Blanco but the volcano buried it by the 1814 eruption. We can only see now the tour and its ruins. 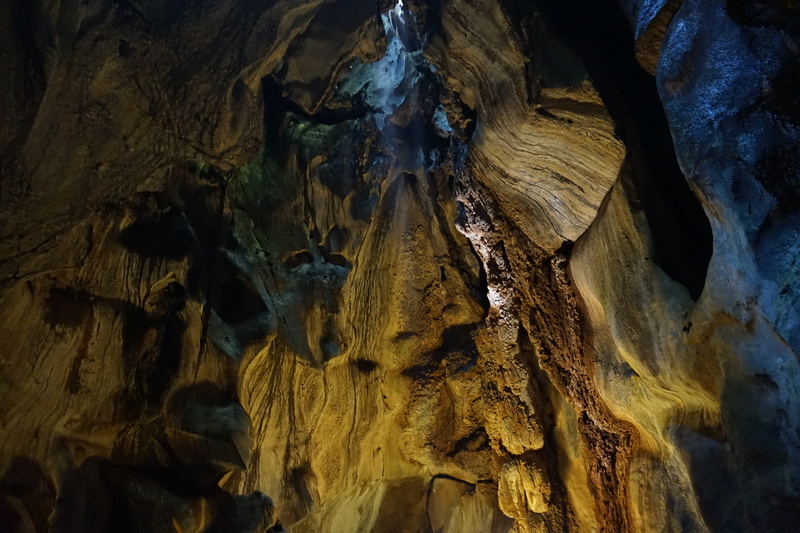 It’s a MUST-SEE when you’re in Bicol. 15. 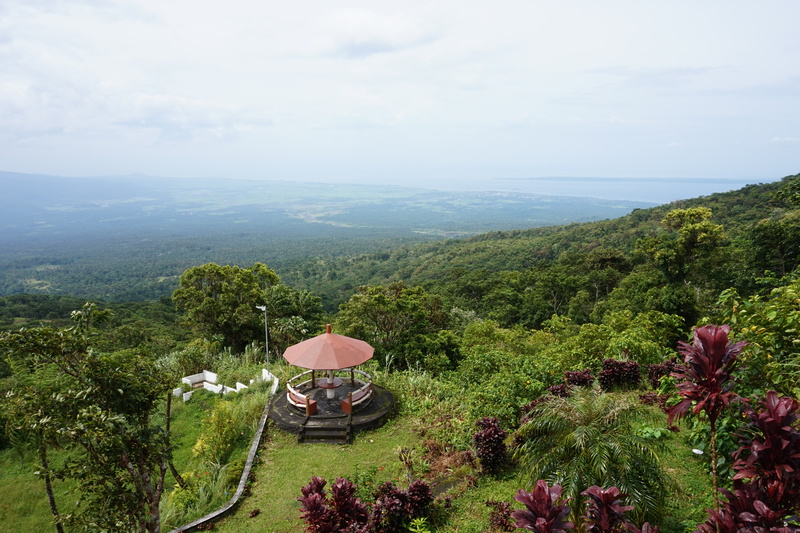 Landscape taken from the top of the Mayon Volcano – another place you have to visit. 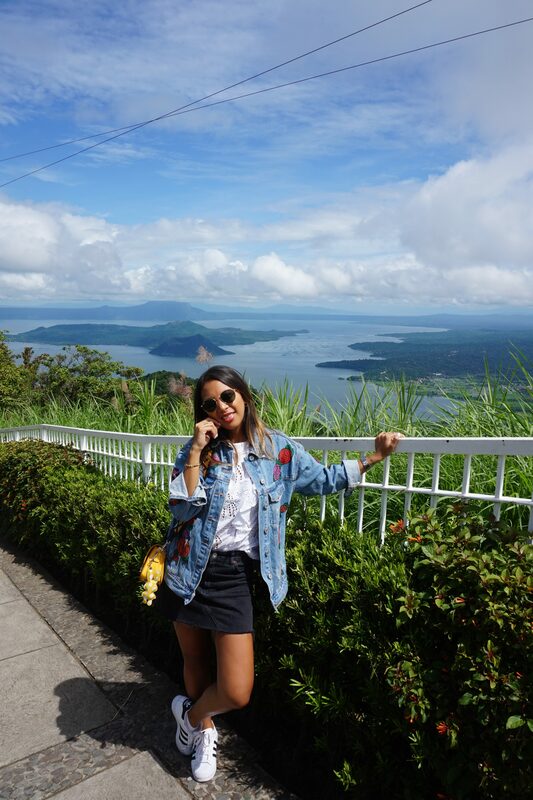 Go at the top of the volcano, the view is very impressive, it really worth it and it’s only 20-25 mins drive to go up. 21. 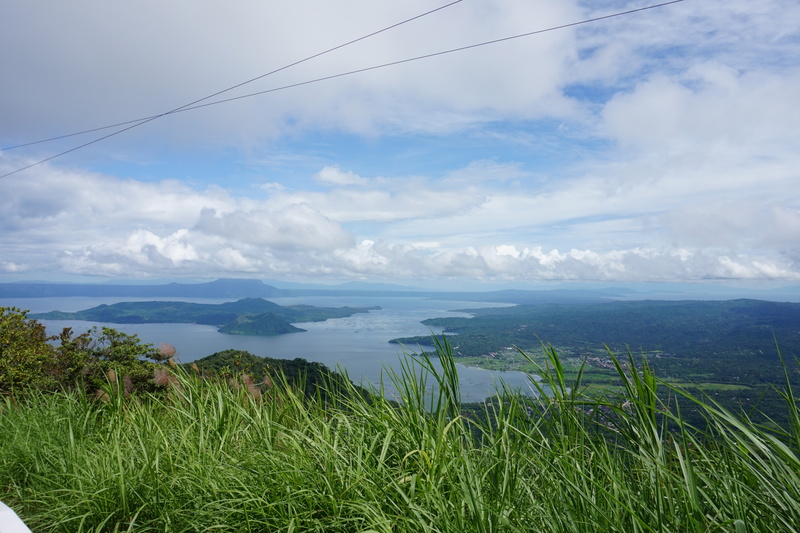 View of the magnificent Taal Volcano – the smallest active volcano in the world. A must-see! 22 & 23. 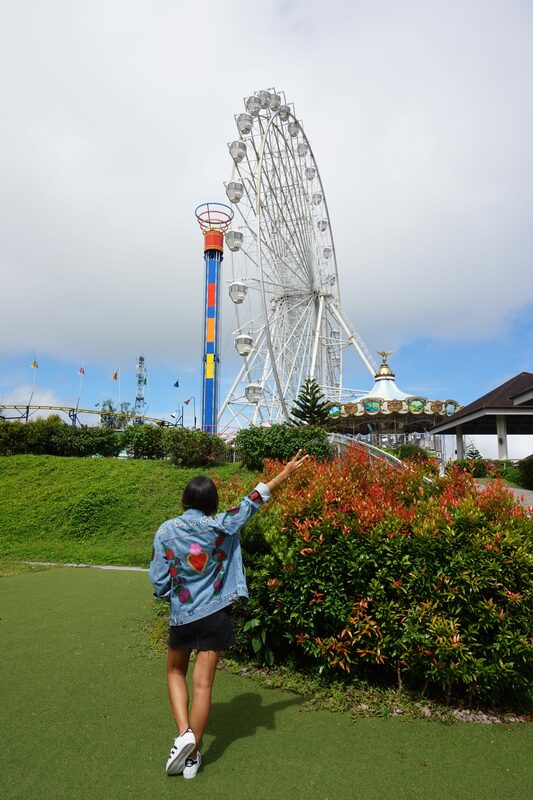 At Sky Ranch – Amusement park with many traditional rides for kids & adults, multiple restaurants & a gift shop. 24 & 25. 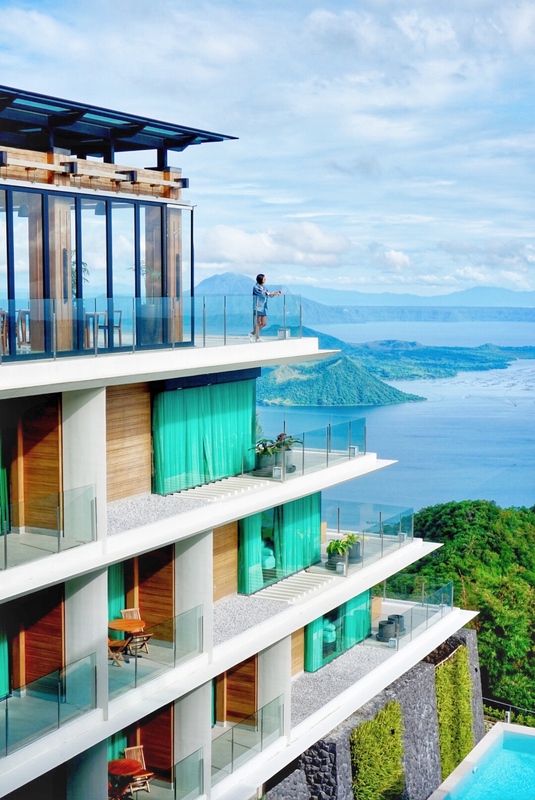 Escala Hotel – Luxury boutique hotel in Tagaytay with a panoramic view of the Taal volcano. 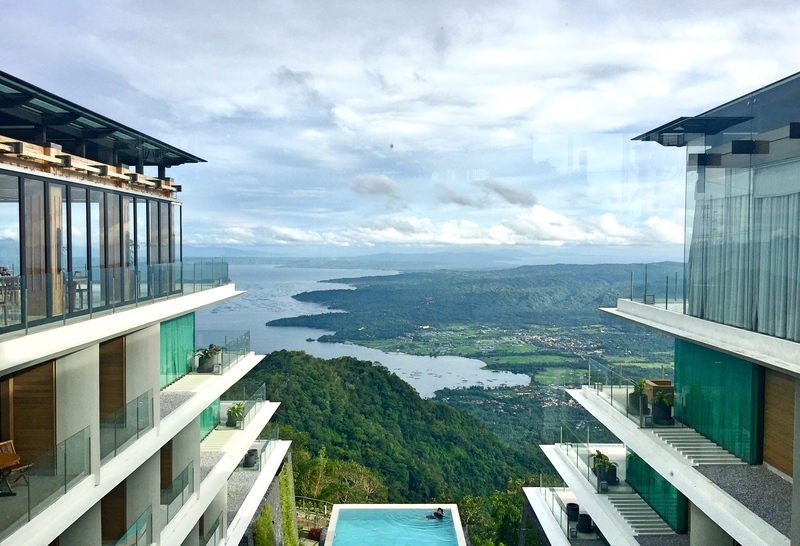 Probably for me the best place ever to stay in Tagaytay. The view is just sick! 26. 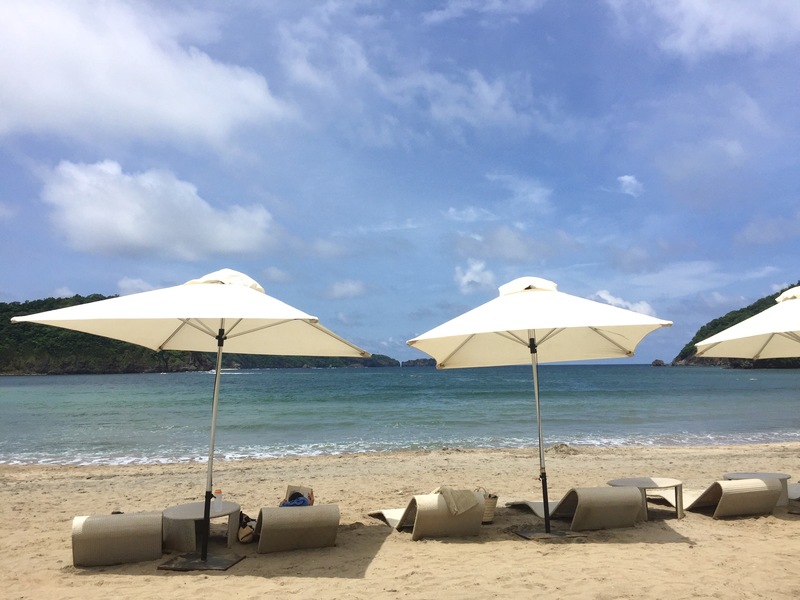 Pico de Loro beach resort – there’s the hotel called Pico de Loro Sand and many apartments that you can rent via private individuals. 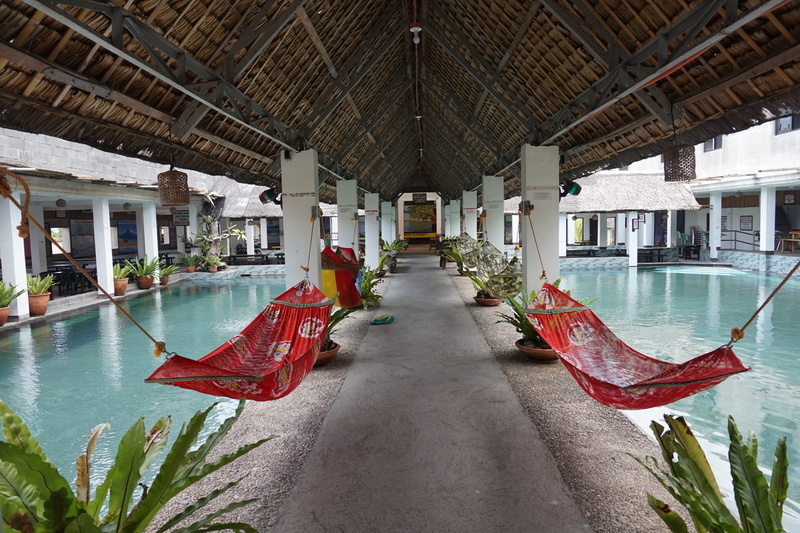 The resort included four restaurants and bars with bowling and billiards, a swimming-pool area, a spa, and of course the beach just in front of the complex. 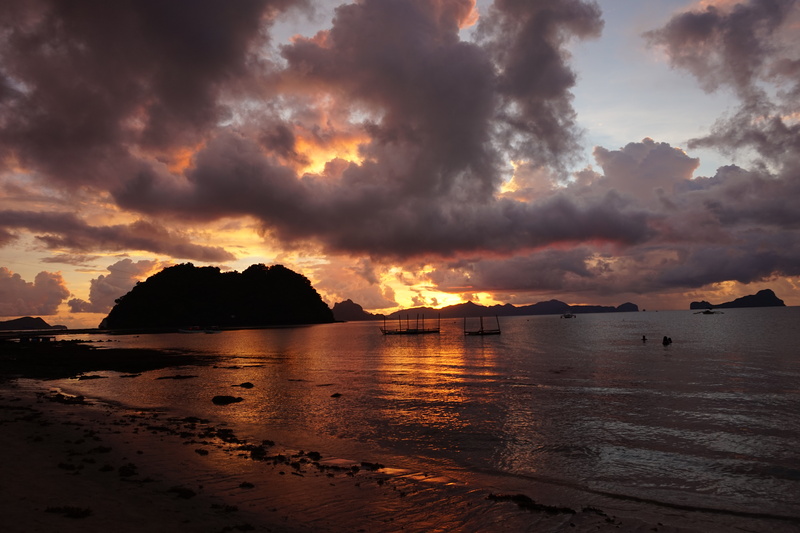 Pictures taken in LIO – a hidden beach in El Nido. Still on going, the place is a total change of scenery. 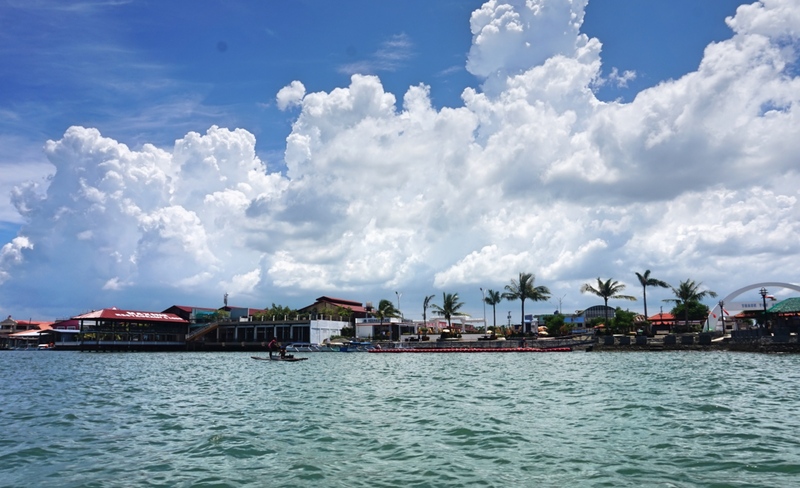 There are hotels, restaurants, bars and shops and also you can enjoy some great activities. It’s quiet and very relaxing! You wouldn’t leave this place for sure! Pictures taken in Star beach where we stopped for our lunch break. 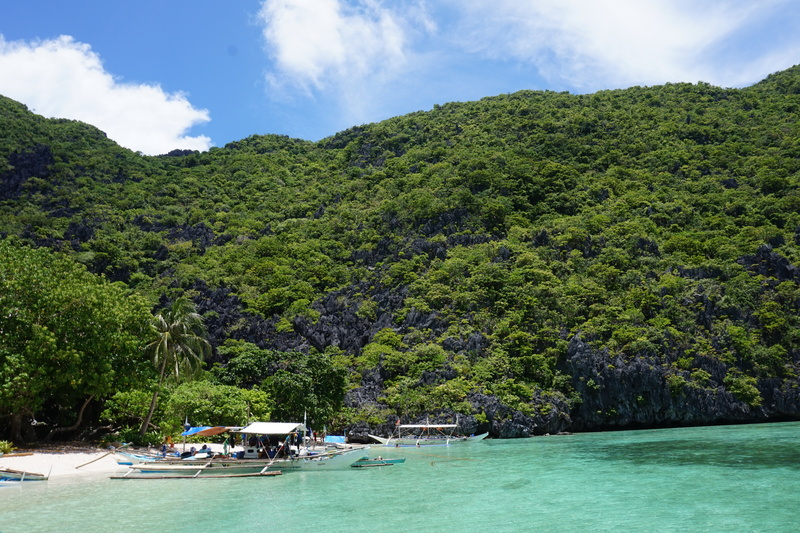 My favorite beach I’ve visited so far in El Nido. 48. 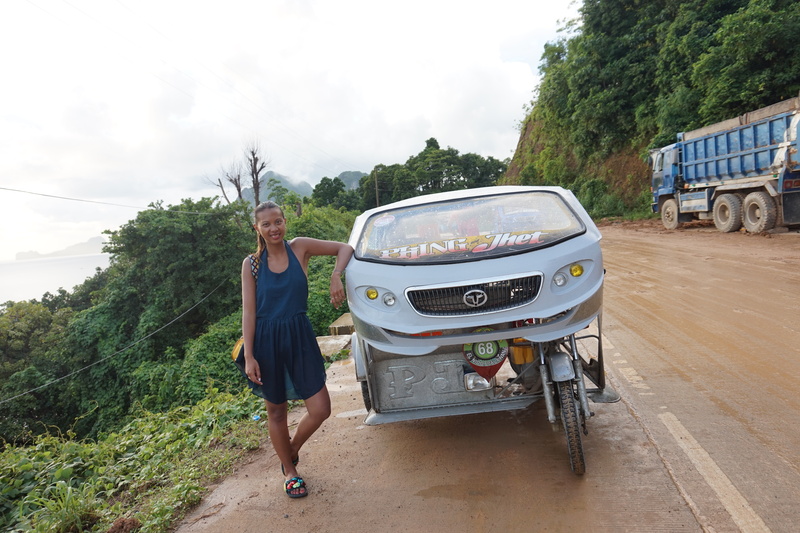 Posing with the famous ride in the Philippines, the Tricycle! The transportation can be different according the regions. 54 – 56. 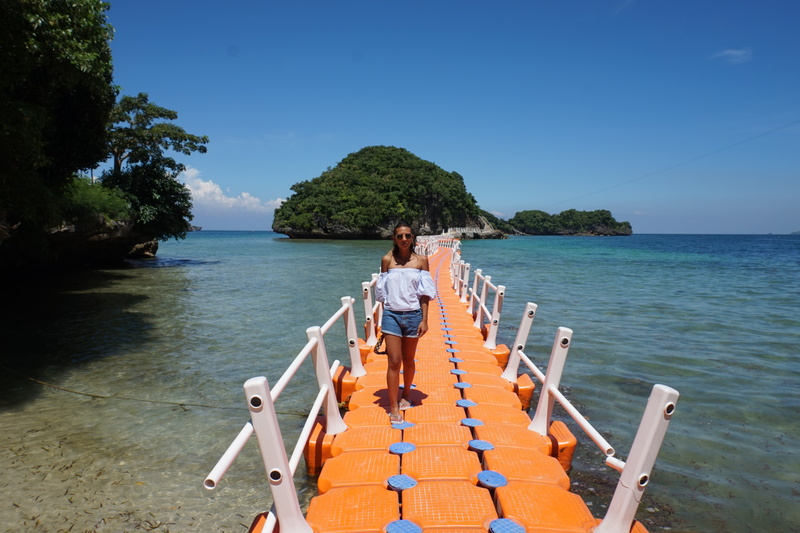 On the way to Hundred Islands – It’s a national park in the Philippines, in total there are 124 islands at low tide and 123 at high tide. 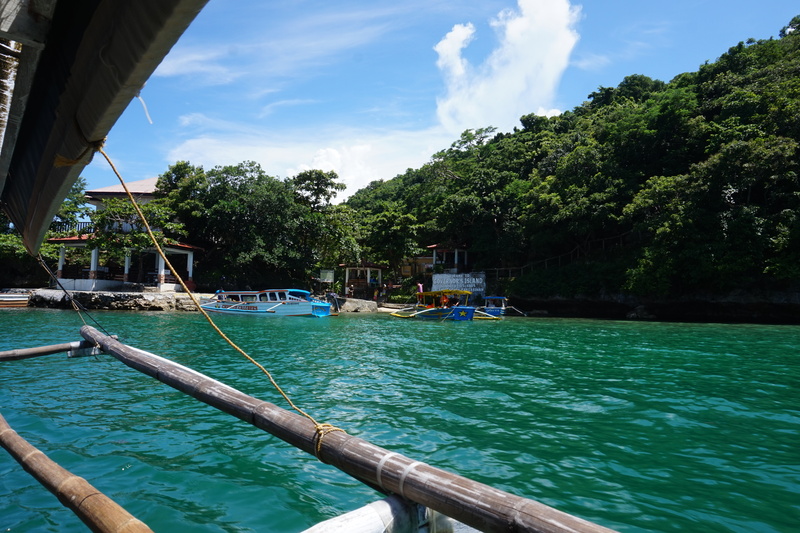 Only 3 of them have been developed for tourism: Governor Island, Quezon Island, and Children’s Island. Amazing pictures. Blog super ma chéri je te suis tous les jours. Au prochaine articles. Bientot j’espère. You made me feel nostalgic! Hoping we could go home over the holidays! You have amazing shots too! Looks like you really had so much fun! I really loved this stuff. c’est beau et incroyable car cela ne ressemble en rien à ce que l’on voit en Europe ! Tes photos donnent envie de s’acheter un billet directement ! C’est vrai que 3 semaines ça passe vite quand on voyage ! En tout cas, tu as ramenés de belles photos et plein de souvenirs ! Merci pour ce beau voyage qui fait rêver ! ça devait vraiment être magique. (Tes photos sont superbes !). 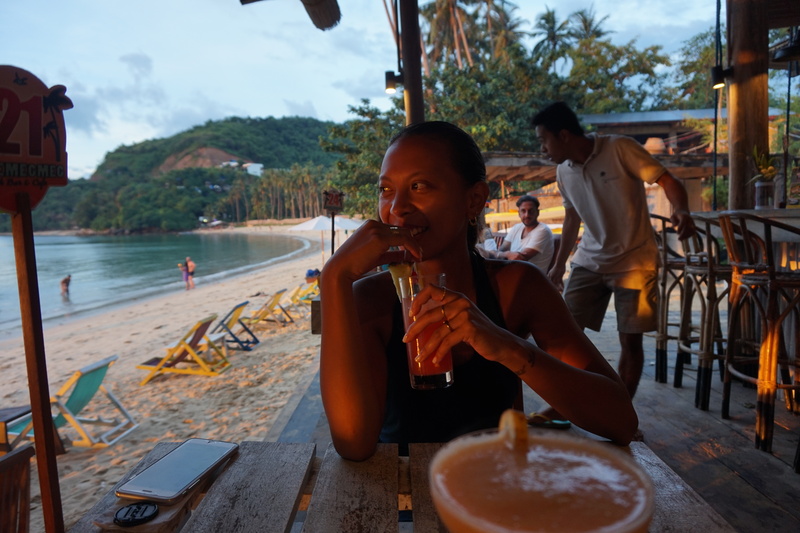 Je n’ai jamais eu l’occasion de visiter les Philippines. C’est tellement beau ! 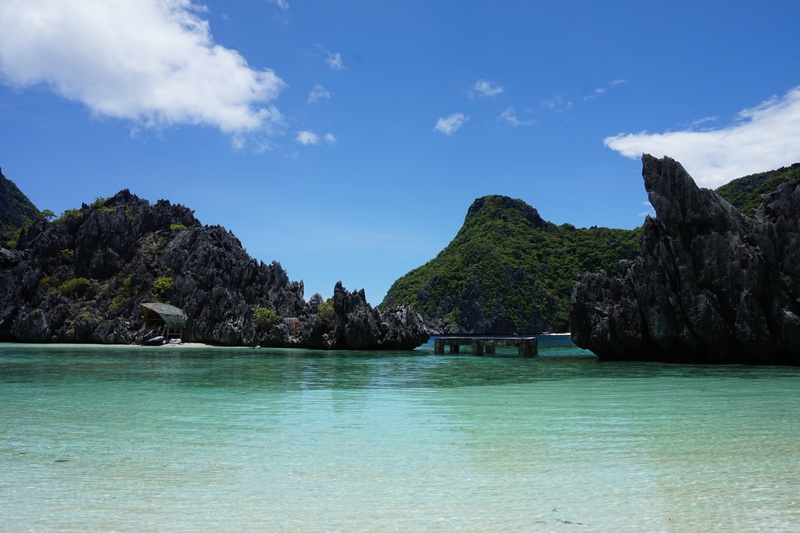 J’aimerais beaucoup découvrir les Philippines, ainsi que presque toute l’Asie en fait. Mon beau frère y a été pour parfaire les arts martiaux et il a beaucoup aimé.